MLB trade rumors: Could Blue Jays trade lefty J.A. Happ to Yankees? Yankees’ general manager Brian Cashman doesn’t need to assign any team scouts to watch trade target J.A. Happ pitch this weekend. Nine of New York’s hitters will get a firsthand look at the Blue Jays’ veteran left-hander instead. 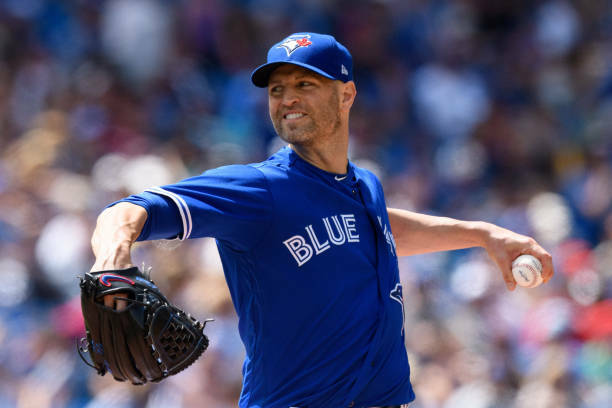 Happ is scheduled to make his next start on Saturday in the middle game of a three-game series against the Yankees at Rogers Centre, and according to Fancred’s insider Jon Heyman, Happ is quite high on Cashman’s wish list. It’s no secret that the Yankees are in the midst of searching for a starting pitcher to acquire before the July 31st non-waiver trade deadline. 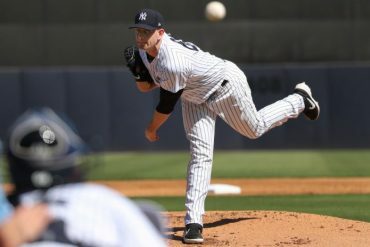 If Cashman and ownership felt a sense of urgency pursue an arm in early June when Jordan Montgomery underwent season-ending Tommy John surgery, perhaps that impulse has intensified since. Considering that there isn’t a wide range of reportedly available arms, Happ has become one intriguing trade candidate. And it’s safe to assume the 35-year-old southpaw will be dealt in July, as the Blue Jays (41-46) are currently 18 games back of the American League’s second wild card spot. In 17 starts with Toronto this season, Happ is 10-4 with a 4.03 ERA in 102.2 total innings. Although he hurled a stinker against the Detroit Tigers last Sunday (10 hits, seven runs, four strikeouts in 5.2 innings), Happ’s numbers in June were exceptional. In his five starts last month, he went 3-0 with 27 strikeouts and a 3.16 ERA. Happ also sweetens the pot with strong numbers against the Yankees’ division rivals. 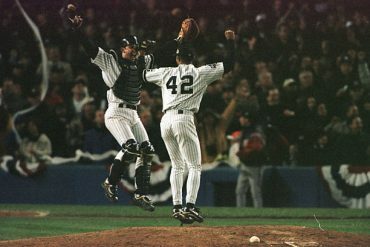 In 67 career starts against AL East opponents, he owns a 25-16 record and 3.52 ERA with 329 strikeouts in 391.2 innings. 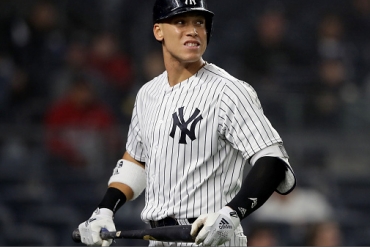 The Yankees’ front office has been adamant in their goal to remain under the $197-million luxury tax threshold this season, and the Yankees have approximately $12 million left to spend without crossing that threshold. 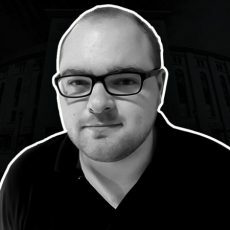 Happ is one of the cheaper options out there, as he’s owed $13 million this season (eligible for free agency in 2019), per Spotrac.com. 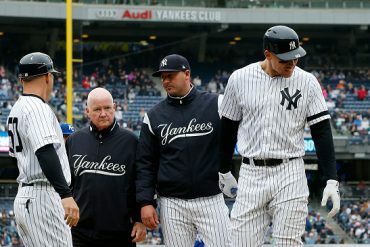 However, Yankees’ owner Hal Steinbrenner told YES Network’s Meredith Marakovits on Monday that he would consider going over the luxury tax threshold if the right deal calls for it. “I would have to see where we are, who the person is, how badly that position needs help. 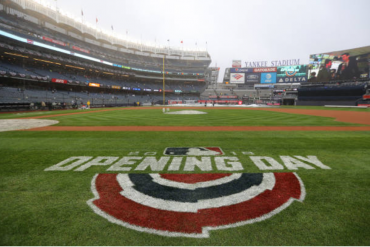 But I will say, we have a considerable amount of money to spend and I’m not adverse to spending it,” Steinbrenner said. “A considerable amount even staying under [the threshold]. We’ve got some options there, flexibility. It’s still unclear as to which prospects the Yankees would be willing to yield in a deal. According to Cashman, the only name off the table in discussions is AL Rookie of the Year candidate Gleyber Torres. So, this means touted youngsters like Miguel Andujar, Clint Frazier, Justus Sheffield, Chance Adams, Estevan Florial, and Albert Abreu are potential trade pieces. 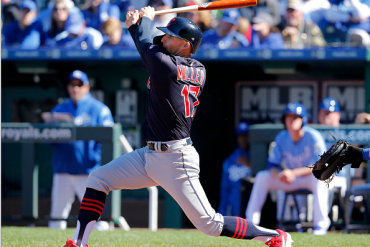 And if the Yankees like what they see from Happ on Saturday, perhaps one or two of those names could be shipped north of the border in the coming weeks.